Hey there! My name is Amanda. Currently, I am pursuing a degree in Environmental Science and Resource Management with a focus on Restoration Ecology and Environmental Horticulture, and am thrilled that I am one step closer to making my dreams come to fruition. And of course, like any dream, it doesn’t come easy. I am taking a year off from attending the University of Washington to gain residency in Washington State so I won’t have to pay my student loans off until I’m 80 years old. Instead, I am taking courses at Shoreline Community College and working full-time as a Cheese Steward at the QFC in Ballard. Oh, and I have purple hair. 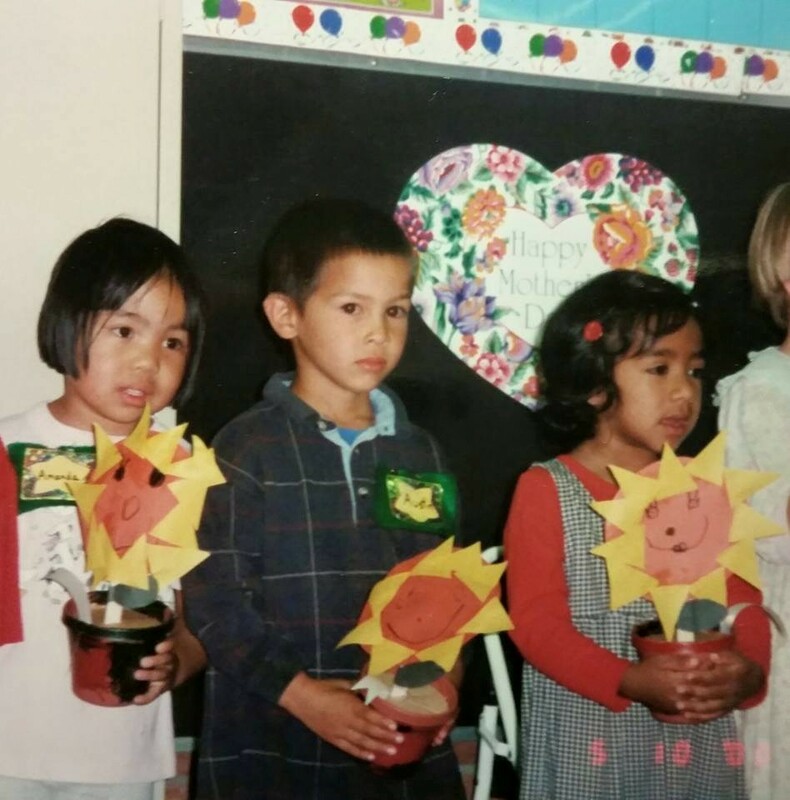 Here we see young Amanda in her wild preschool habitat, triumphant over her meticulously handcrafted smiling flower for her mom on Mother’s Day. 1.Yes, we have lots of oak trees. We also have access to the Santa Monica National Recreation Area and other open spaces, perfect for hiking, camping, and overall enjoying. 2.We are ranked 2nd on FBI’s Safest Cities Rankings. 3. There was once an “albino monocled cobra” on the loose for four days. Excitement. 4.The local In-n-Out is a prized gem. In this quiet city, I live with my family. I am daughter to a motorcycle-ridin’ father and a master-of-homemade-meals mother, and sibling to a free-spirited older sister. And all together, we are the Hsu’s. 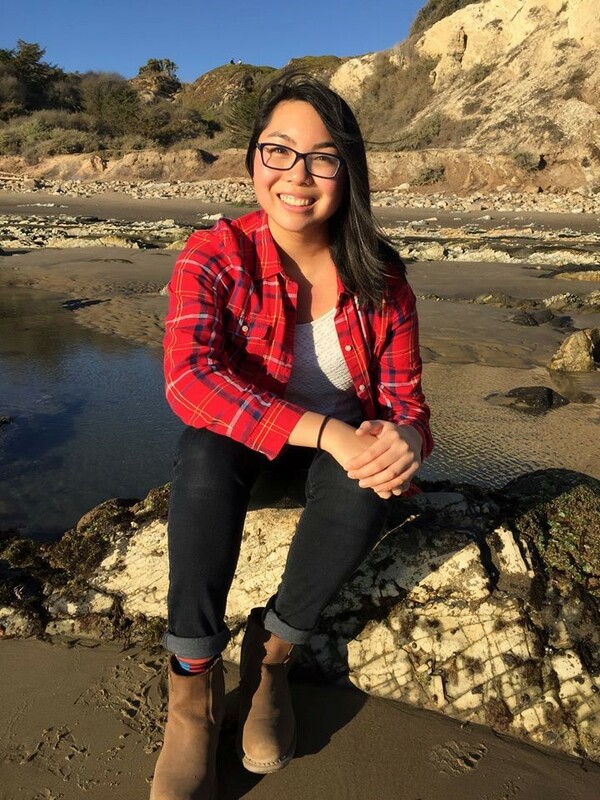 Throughout my adolescence my happiest memories are of hiking with my mom in the Santa Monica Mountains, sailing to the Channel Islands with my dad, and spending hours at the beach with my friends—being outside and experiencing the natural world. My love for the recreational benefits of the outdoors later evolved into a deeper understanding of the world’s natural workings and our impact on it. During my time in elementary school, I watched my mom work tirelessly to establish my school’s first recycling program, on top of being a full-time mom and employee. She taught me what true passion and hard work can really achieve, laying the foundation for a new environmental steward in the making: me! As I continued my education, I found inspiration in my science classes and dreamt of the day that I could pursue a career protecting this planet. This vision led me to volunteer with local environmental organizations, such as Surfrider Foundation, to help restore polluted and damaged landscapes. And by the time I graduated from high school, I set off for the University of Washington with my goal of studying the environment. 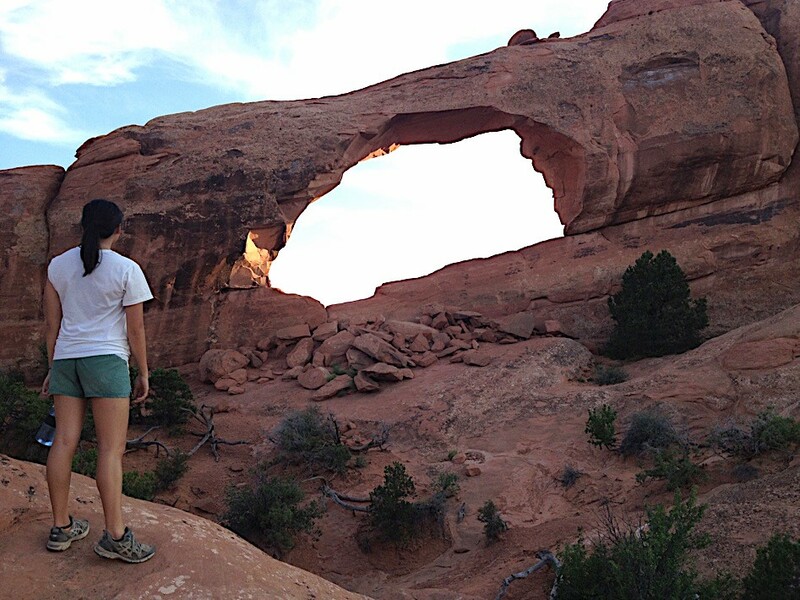 “Candid” shot of me admiring Skyline Arch at Arches National Park. The summer before I started my new life as a Seattlite, I got my first taste of the National Parks. Four friends, one tent, five states—it was the most life-changing ten days. We hiked through national parks including Zion, Bryce Canyon, Arches, Mesa Verde, and the Grand Canyon in addition to state parks, national forests, and quirky roadside attractions. I got to overcome my fear of heights and make it to the top of Angels Landing in Zion. I got to meet new friends and strengthen existing relationships along the way. I got to feel an overwhelming sense of humbleness stepping on sacred land and a connection to the rich history these parks possess. It opened my eyes to the massive opportunities that await me outside of my tiny suburban bubble. I have now been in Seattle since Fall 2014. In the past two years, I have moved 1,100 miles from home, changed my major at UW, said “hello” and “goodbye” to many friends, jumped in Drumheller Fountain, taken a 24-hour road trip to Portland, eaten my way through Seattle, and have had my fair share of other “college” experiences. Among the sleepless nights studying and bouts of homesickness, I wouldn’t change any of it. My experiences have made me the strong, independent woman that I am today.